"It's our little grain of sand, a little bit of tribute to what beautiful history there is behind this wonderful group of people and just leaving it there in the air for people to feel connected to." That connection has deep roots for flutist Eugenia Moliner. 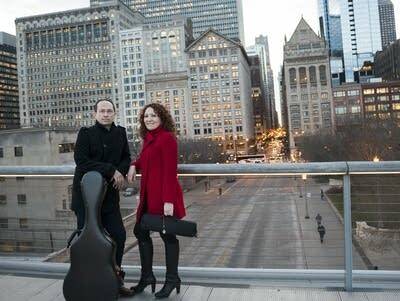 She and her husband, guitarist Denis Azabagic, are the Cavatina Duo, and their latest musical sojourn takes you on a Sephardic Journey. "Even before the start of our latest journey," Denis explains, "our dear friend  and I would say, mentor  Sergio Assad, many, many years ago he told us to explore our backgrounds. I come from Bosnia-Herzegovina and Eugenia comes from Spain, and several years ago, we did one project that was based on music from my country, from the Balkans. And then we wanted to do something in connection with Spain. And that is how we came across this rich culture of Sephardic Jews." And then everything just seemed to fall into place for their Sephardic Journey. "And it turned out that this lady was a descendent of Sephardic Jews and the language she was speaking was Ladino, a language that survived for many centuries, four or five centuries, since the times when the Jews were expelled from Spain," Denis continues. "So this was really like a great surprise to us, and later on, when speaking to my aunt, I found out that when she was a young girl, her mother converted from Judaism to Islam in order to avoid being prosecuted by the Nazi army. And she and another family, these were the only families that have survived the persecution. "So when this lady was talking to Eugenia, at one point she said to her, 'Now the circle is complete,' referring to the fact that we have another Spaniard who came into the family," Denis says. "So when I found this out I said, 'We have to do this. We have to do music from Sephardics who were expelled from Spain'," Eugenia adds. "They don't have a country, they don't have a place, but they have a culture that has survived the centuries!" To bring this music to light, The Cavatina Duo reached out to several composers and commissioned works specifically for this Sephardic Journey. "So we did a bit of research and mainly the Sephardic music is … they are very simple songs and we talked to composers we'd been working with for other projects and we told them what we wanted and they talked to each other, not to use the same type of melodies, and that's how we did it. We did like a collaboration between us and the composers to find the right melodies that each of them felt more connected and each of them did their own piece with their own signature, based on that music." It looks to me like this was as much of a discovery for these composers as it was for you? "That's what they kept saying," Denis says. "With Carlos Rafael Rivera … he said, 'I had no idea what was this music is about and this culture and I am so glad to have discovered it.' He is the author of one of the pieces on the CD called Plegaria y Canto (al Bodre de la Mar)." That piece features the alto flute. I asked Eugenia how that instrument adds different colors to the piece. "So I was certain when I talked to Carlos about writing this trio that I wanted the alto flute to be the main flute that would be used," Eugenia explains. "And the way he treats the instrument is unbelievable. Usually one of the characteristics of the alto flute is the dark color. And the beautiful blending with the guitar. To put the violin on top of that  it's like I'm kind of in the shadow of the violin. The violin sings on the top and the alto flute is just kind of shadowing it but giving it this beautiful color that kind of melts together the guitar and the violin. It's just perfect." 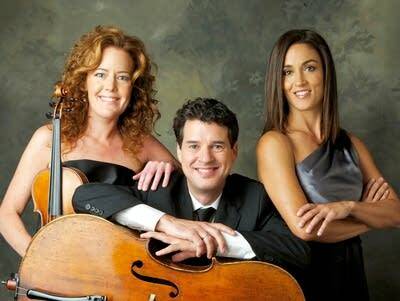 Collaborators Desirée Ruhstrat and David Cunliffe of the Lincoln Trio worked closely with the Cavatina Duo on the project, and they appear on the works by Rivera and Thomas on the album. 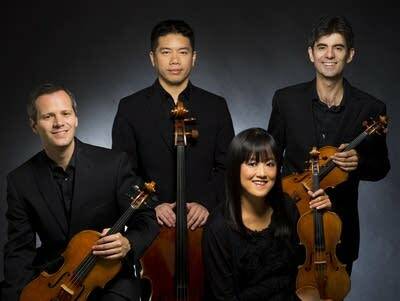 The Avalon String Quartet is featured on two of the five works on this recording, including the Sephardic Suite, by Clarice Assad. "When I saw the score the first time, the third movement, I was like, 'What?'" Eugenia admits. "How am I going to do that? Are you kidding? Me playing percussion with my own body? No. When I looked at the score of the entire sextet and I saw that the violinist had to sing as well, not only play but do effects with their voice and everybody had to do the percussion so … this is exactly what I love about Clarice. She is all about surprises and she surprised all of us." Her description of that movement is really delightful. As she was writing the piece, Clarice envisioned a bickering old couple. "Yeah," Eugenia laughs, "and she puts in this big cadenza, this solo and I felt like that's me exactly. I felt right at home." David Leisner was commissioned to write a piece in tribute to a young poet. He was the son of Mark Cavalenes, a friend of Denis and Eugenia's. "I talked to Mark and said, 'Mark, let's commemorate your son's memory'  not only that, but it turned out that his son, Michael, had a collection of over 800 poems, and through reading those poems what strikes me is how you can get a glimpse of some person's soul through reading what they have written, even when they are gone. And that's how I approached Mark and he agreed to sponsor the commission of one of the pieces and that's why we came to David and asked him to do this piece and to connect the yearning that was going through these poems of Michael and to pair them with the yearning that is reflected in the folklore and in the songs of Sephardic Jews. "And more and more as this project was going on, it gets me thinking harder and harder and actually makes me feel proud that this project is sort of like not only tribute to Michael, to one person that we knew, but to so many people who have been expelled and prosecuted and even tortured and murdered and so on. But their spirit, their culture, has survived. It has endured, overcome all these difficulties and travails and geographical differences and centuries … that's really striking for me, in one way that we are part of this journey, this process of paying tribute to the human spirit." 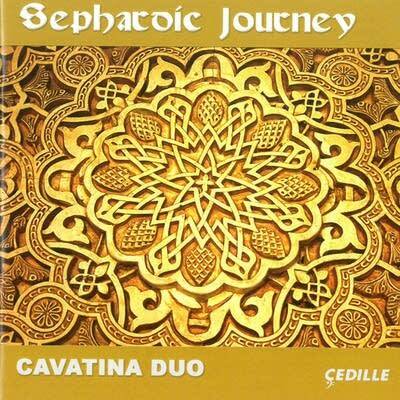 The Cavatina Duo dug deep into their past, to revive the human spirit, through the music on Sephardic Journey.